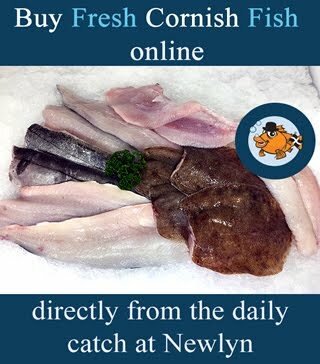 Wanted: Fishermen’s views on the best way to communicate safety messages. 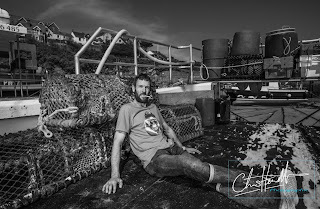 This week sadly saw a timely reminder of just how important Health & Safety is on a commercial fishing vessel - and just as important is what to do if something goes wrong. 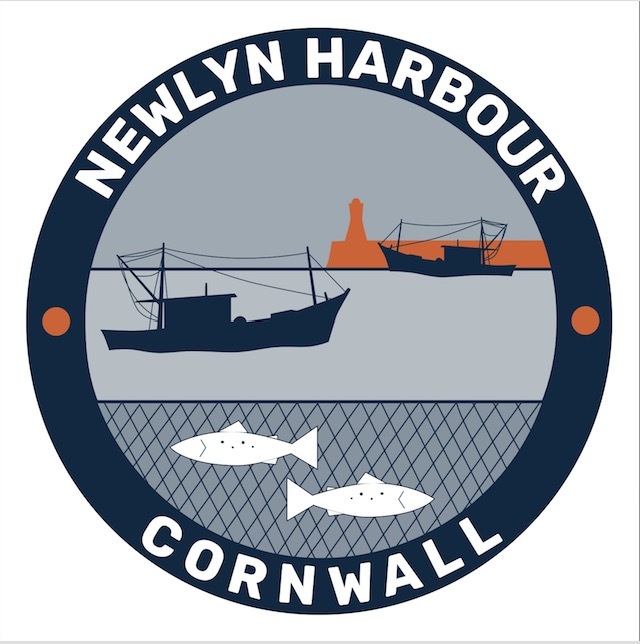 In this instance a crew member of the well know Newlyn hake netter, Ajax had his hand severely damaged when it became trapped in deck machinery. The Newquay based SAR helicopter arrived at the vessel around 4am and in very challenging weather conditions eventually secured a high-line and diver aboard. The crewman was lifted off and flown straight to Derriford hospital in Plymouth where a team of surgeons worked for 9 solid hours on the crushed fingers. 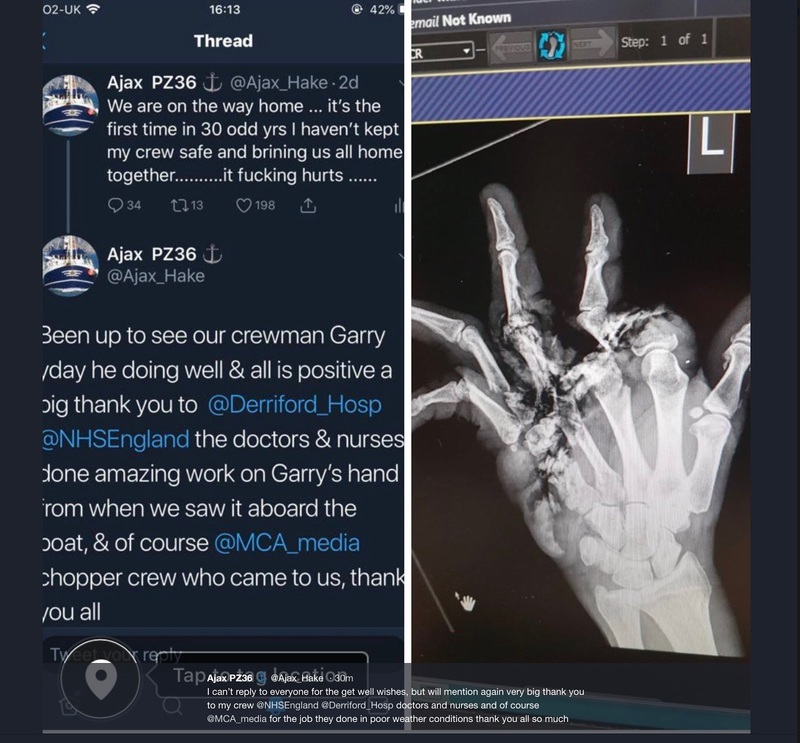 "I decided to put this pics up in a way to say thank you to Valentia Radio, Falmouth Radio, MCA coastguard, Derriford hospital and big thank you to all the NHS doctors and nurses with what they did to save Gary's fingers - from what they were like when we last them aboard the boat is amazing. The doctors said a big say in how much his fingers were saved by the great First Aid giving by his crewmates - leech treatment on fingers now to get blood flowing, operation on Monday again to do skin grafts, but what we saw when he left the boat was all fingers lost, what I saw yesterday is unbelievable, he a strong man very positive and will be fine as he has many friends and family around him"
Wanted: Fishermen’s views on the best way to communicate safety messages. 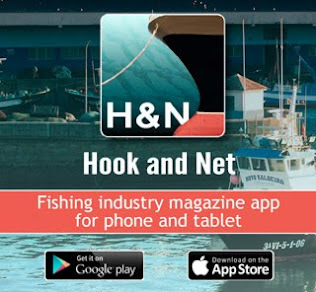 If you're a Fisherman, the Fishing Industry Safety Group want to hear from you.